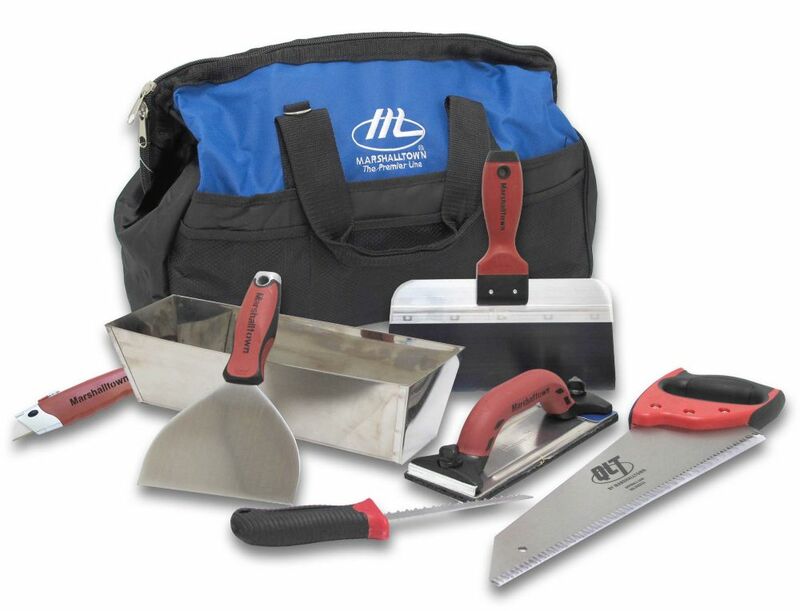 The Marshalltown Drywall Apprentice Tool Kit included everything needed to get started in the trade. This kit offers tools and a convenient nylon tote bag. Floats are primarily used for levelling and smoothing concrete prior to final finishing. They can also be used to create a rougher concrete finish if desired. The floats are made from clear, seasoned redwood. The redwood is extra thick, providing a long usable life. Contour grip is easy on the hands and wrists. Made from lightweight magnesium these floats are used for levelling and smoothing concrete prior to final finishing. Magnesium floats produce a smoother finish than wood floats. Magnesium floats are very hard, durable, and long lasting and are recommended for use with air entrained concrete. Then handle is positioned to give the tool perfect balance. The soft grip handle ensures a steady grip and reduces user fatigue. Drywall Tool Kit The Marshalltown Drywall Apprentice Tool Kit included everything needed to get started in the trade. This kit offers tools and a convenient nylon tote bag.